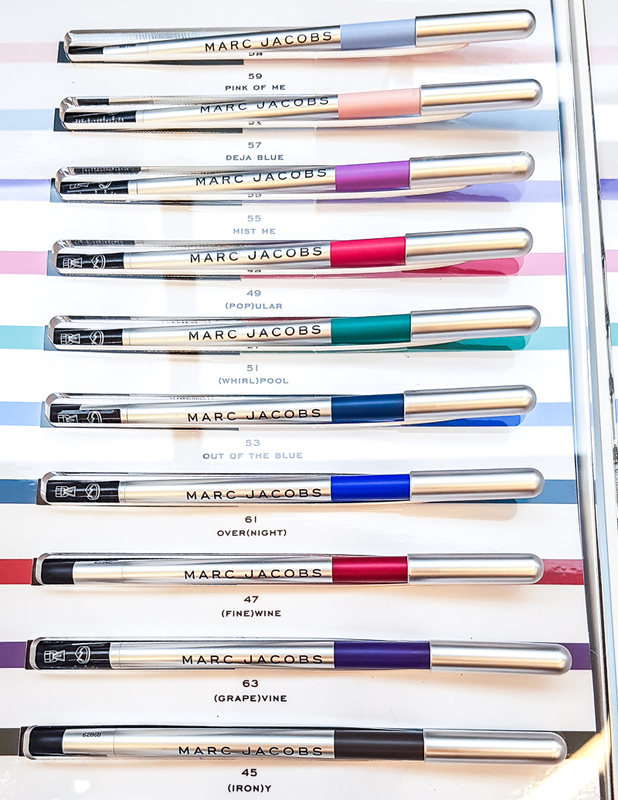 Marc Jacobs Beauty Highliner Matte Gel Eyeliners are a range of long-wearing matte pencil liners in twist-up packaging (with a sharpener included) and come in a bunch of different shades from paler pastels to regular browns and fun red and wines - what's not to love about that? 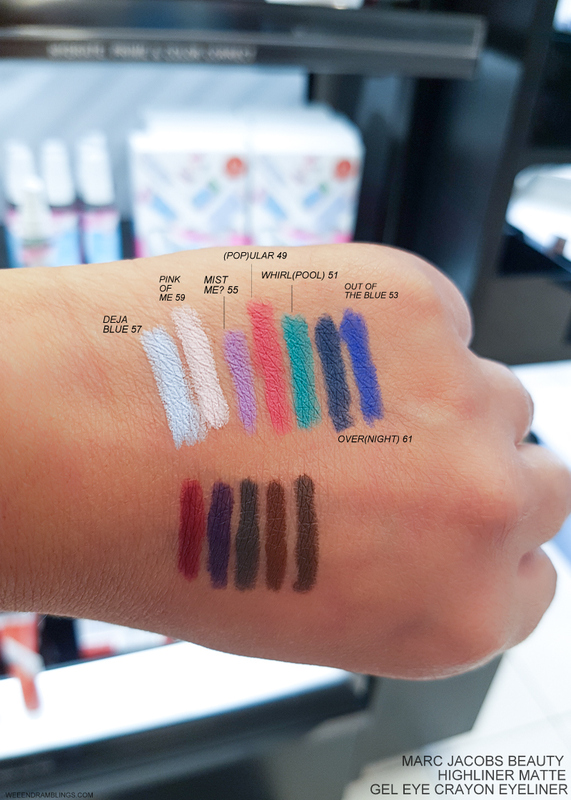 These eyeliners are truly longlasting - I know because I had a tough time getting the swatches off the back of my hand - and I love the soft matte finish. I can never have enough browns, purple, and dark blues, and I think the reddish wine shade would make for some interesting eye makeup looks, especially when smudged. 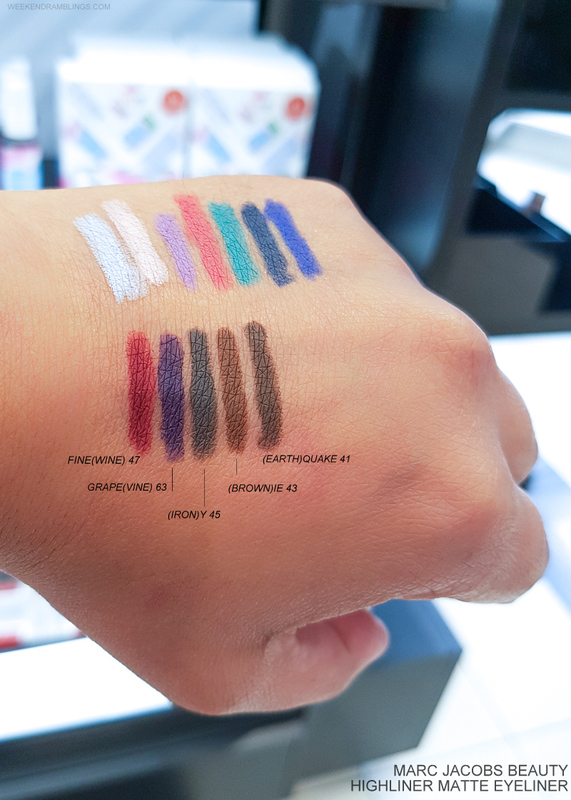 These eyeliners have a soft, smooth texture that makes them easy to apply and blend (though you do have to be really, really fast about it), and they can be used for sharper defined lines as well as smudged into smokey eye looks, either on their own or layered. Overall, a great pick for for anyone who loves liners and/or easy long-wearing eye makeup products. Thank you so much for the wonderful post.I really love it!Thanks for sharing Marc Jacobs Beauty Highliner Matte Gel Eye Crayon Eyeliner.I am actually looking for the best waterproof Highliner.Now days different colors are available at markets.So I am looking for the best color also.Your post really help me to choose best color for me.I already checked a site but it does not contain detail information.But this is the best post for me.